Hello cupcakes & happy 1st of the month! It's my birthday today so as you're reading this I will be face down in chocolate cake and guzzling lots of white wine. This month I have started my "Bloggers To Watch Advertising Campaign". 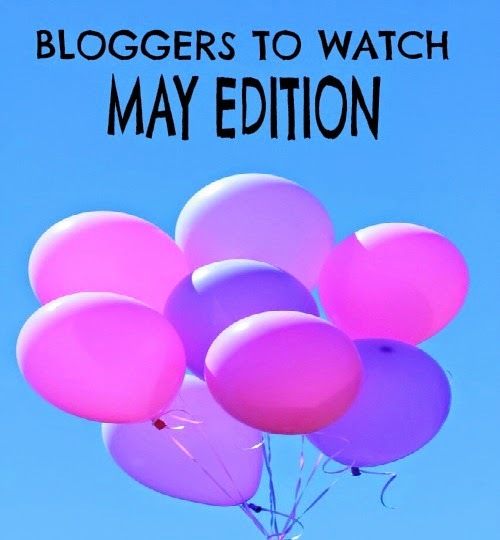 I want to feature lots of up and coming bloggers because it's important as bloggers to celebrate each other and it's not really my scene to be overly competitive. I have made a great bunch of friends through blogging, it's probably the best thing I have gained since starting. So here are my FOUR May advertisers who's blogs I have really taken a shine to, all have their own uniques and they're all incredibly talented, enjoy them! Zusterschap (dutch for sisterhood) is run by two absolutely gorgeous ladies Catstello (Tara) & Keff (Katherine). Their wonderful lifestyle blog is all about celebrating women and giving them a voice. Their aim is to encourage women to share, support & collaborate with one another. I personally adore this blog because after reading it I ALWAYS really do feel empowered and proud to be a woman. They have lots of guest posts, as well as their own that are so relatable and written so well. I also LOVE their twitter chat that they have recently started it's called #ZChat where themselves and other bloggers host twitter chats that address different topics every week. It's been really popular so if you're looking for a new chat to join in on tune into Twitter on Mondays 9pm GMT. 21 year old Amie is a plus size blogger with a love for fashion, lifestyle, beauty & talks about her life as a vegan. Amie's blog is such an easy read with some really lovely blog post series that you can really get stuck into. Amie's writing style is so personal and from the heart that when I read her blog I instantly fell in love with her, she's an absolute sweetheart with a real feel good blog and I have recommended her blog to all of my friends. Oooh I love Justine! Another absolutely sweetheart with a lovely blog to match. Justine loves to write and is working on two books at the moment, a non fiction and a fiction. You can really feel Justine's love for literature in her blog and it's really refreshing to find a blog that doesn't just review lipsticks every other day. If you're looking for an honest, well written blog that features everything from books to bridal wear, Justine is your girl. Last but certainly not least is the lovely Andrea's blog, Beauty With Andrea. The best thing I have taken from Andrea's blog is that it is sooo content rich and versatile. Andrea is passionate about fashion & photography which you will quickly learn when reading her blog. You can also find Andrea on YouTube (Beauty With Andrea) where she reviews all different kinds of beauty products! 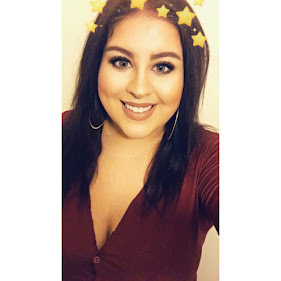 If you're looking for reviews on fun, affordable fashion and beauty look no further than Beauty With Andrea. I love finding new blogs so thanks for the recommendations.